A headline in this month’s issue of Christianity Today caught my attention. I was hooked inasmuch as I am putting the finishing touches to my new book, Created for Good Works. The last three chapters are all about leadership, or should I say, eldership. His well-worth-the-read article reminded me of my own study of leaders and leadership 25 years ago as I struggled to keep up with the growth of my executive search firm. After five years of learning and earning, trial and error, a picture of what a leader is and is not became much clearer. The result was a leadership model and curriculum written and produced for the Fellowship of Companies for Christ International. We called it The Mastery of Leadership: Becoming a Person Others Follow. As I believe the Crossroads Career Network is being led into a season of change and growth, I thought a weekly series of articles on leadership might stimulate important dialogue for our future. Before you set out to do anything, you need to know what it should look like when you are done. In other words, how will you know when you are an effective leader? What does an effective leader looks like? First, let’s look at what an effective leader is not. Through the years, I’ve met many people in leadership positions who have basic misunderstandings about leading. 1) Leadership is not being in first place. It is not like a race where you have to run faster than everyone else and you break the tape first. It is not a contest where you are the top salesman and everyone else is behind you. In those instances, you are ahead of everyone else, and they are not with you. Leading, in this context, means they are working along with you toward the same goals and objectives. In fact, Christ said the first will be last, and he who wants to lead must be a servant to all. 2) Leadership is not just management. 3) Leadership is not directing people. Again, leadership includes directing people, but directing people is not leadership. We’ll cover directing people later in this series, but, in short, directing is pushing people. Leading pulls them. It motivates, inspires and gets folks to “want to.” Directing people involves more telling. Leading people involves more selling. 4) A leader is not just someone in a position of leadership. This may be true, but it is not always true. Many people emerge as leaders with no position. On the other hand, how many people have you seen in position of leadership but there is no leading – that is no one is following. Take, for instance, someone who inherits a business or is born into a royal family. They eventually rise to a position of leadership, but that does not necessarily mean they will successfully lead that company or country. There may be qualities of leadership that, for some reason or other, they don’t possess. I do not purport to know everything, or even most things, about leaders and leadership. Consider this series of articles as a buffet from which you can pick what’s best for you. Also, you can add to the buffet. Please share your thoughts. If you have concerns, tell us. If you have comments, make them. If you have questions, ask. Brian, thank you for all you do and especially for the series about leadership (eldership) on which you are embarking. This is important for a lot of reasons. In our current society the prevailing thought is that the great leader is the person on the team who yells the loudest and is the most visible. You are on to something here. Keep it up. Love the quote from MacArthur! Great points about compassion to listen and not setting out to be a leader but becomes one by action and integrity. Amen! Could not agree more! Especially where you clarify that leadership “includes” management, and leadership “includes” directing people. 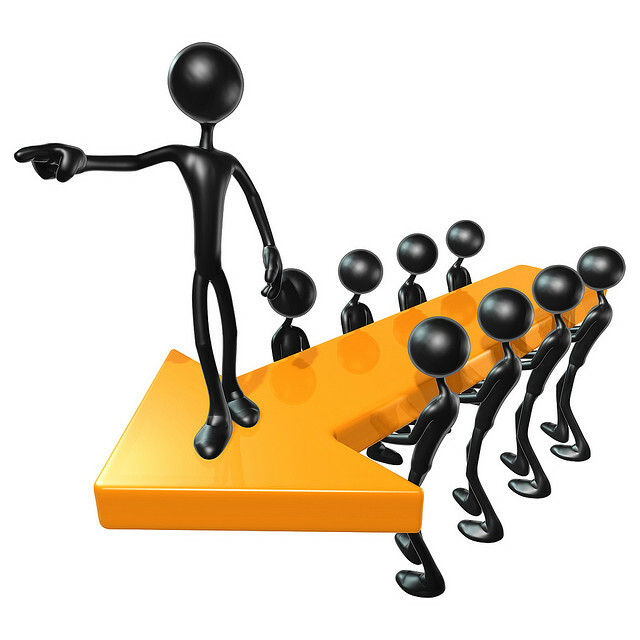 So many people suggest you should be a leader, not a manager, without recognizing leaders should be managers PLUS…. Also, many organizations say with one side of their mouth that they encourage all associates to be leaders, but then refer to “higher ups” as the leaders, which sends mixed signals. So many other good points in here, too. Thanks for sharing, Brian! Thanks for thought about organizations speaking from 2 sides of mouth – everyone a leader and the higher ups are the leaders. Consistency in words and deeds is one of the three most important behaviors that demonstrate character and trustworthiness. Thank you Brian. Great timing, and your post stimulates some thoughts about my approach, especially the need for shepherding. The great thing about seeing leadership as shepherding is that the sheep are following, not being driven. The other thing to remember is that shepherds can become sheep in certain situations, therefore, needing a shepherd themselves. leadership of Nehamiah and his management of the people and resources in rebuilding the Wall around Jerusalem. Strongly recommend you read. Best to you and your efforts to help others. Thanks for the tip on the book. What I love most about Nehemiah is that he started with compassion and prayer. It mattered. He knew he did not know what to do, but he did know Who did, does and will always know. Amen? Brian, Than You for giving aspiring leaders a blueprint of what leadership may look like. Much to consider. Like Bob, I am most impressed with a sheparding outlook of leadership and will give it consideration as my opportunities arise, starting with my family. Management is a study in confrontation and tension, as I see it. Between good preparation and time management, and a positive focus that comes about because a little long range planning eliminates a lot of those nasty surprises that catch us all if we are not careful. I have noticed that when managers snap, and the wheels start coming off, most of the problem starts with management……..who is not properly prepared beforehand to deal with the challenges. Downshifting blame to the employee who has not been properly trained brings instant gratification to the manager and is all too common practice, but closer examination always reveals an unprepared manager. As the manager, so goes the staff, as they say. The mature manager minimizes tension and confrontation by utilizing personal preparedness. Which then extends to his staff.. Above all set a good example that people can follow…be the kind of person you want to work for.. Remember the words of my friend Andrew Carnegie…who was the wealthiest American of his day…. Good Leaders watch what they do. As Mac Arthur so clearly understood in the excellent quote above….it takes a degree of integrity to lead….pushing, threatening,using fear is never the answer, yet it is easy, neat and simple, and a lot of companies still employ this destructive behavior. Thank you! Very thoughtful and thought provoking in every positive sense of the word.